“I received an email from the manager of El Esteco Vineyard. They will meet you at 11:30am at the winery for a visit and wine tasting. They then invite you for lunch at 1:00pm”. It was 9:30am, and we were invited to drink wine in 2 hours. This was a precursor to what the next 3 days would be like in Cafayate. 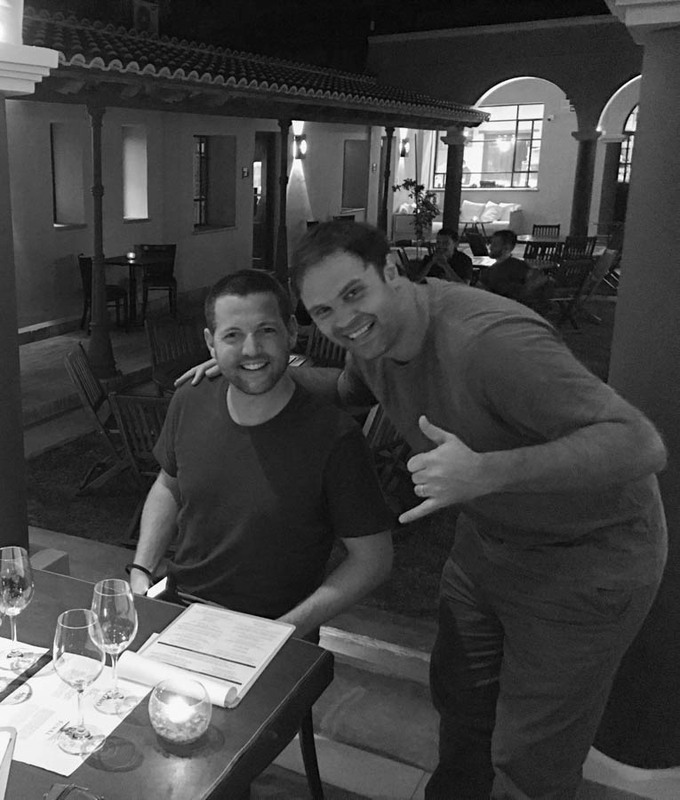 This may have been the first wine tasting that we would do during our 4 night stay, but it definitely wouldn’t be the last! 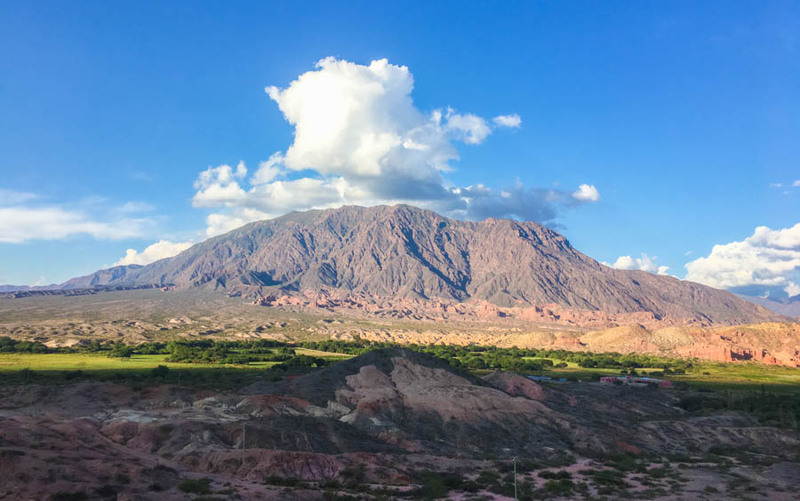 If you haven’t read part #1 of our road trip from Salta to Cafayate, click here. 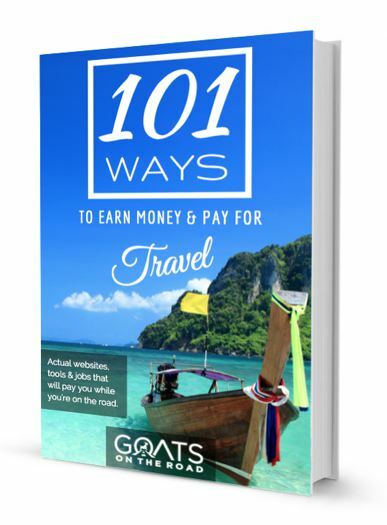 Don’t miss our travel videos at the end of this post! 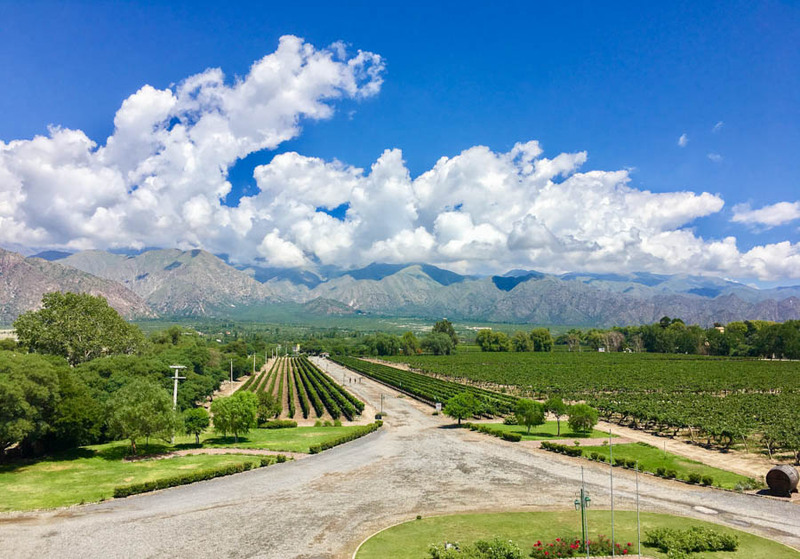 This area and its wineries aren’t as famous as the big players in Mendoza to the south. But the wineries, vineyards and restaurants that we visited here in northwestern Argentina were all outstanding. We didn’t mind that this area was lesser-known, in fact, we preferred it. The tours we went on and the restaurants we dined at didn’t feel pretentious whatsoever, and they had a very intimate and welcoming atmosphere, plus the prices were a lot better than other parts of Argentina. 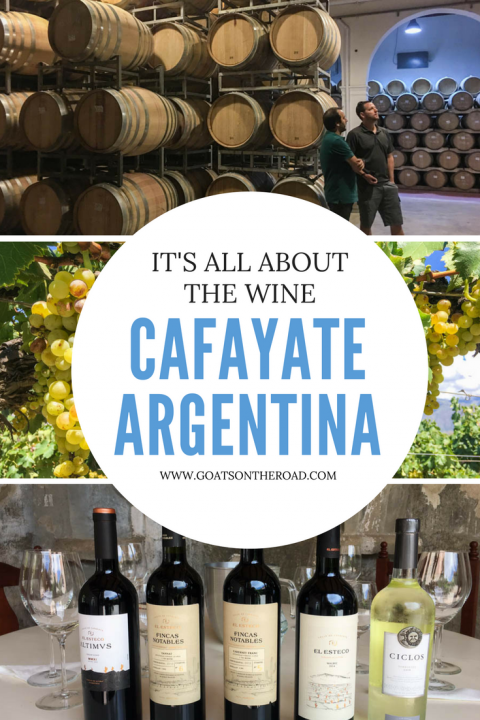 Our entire time in Cafayate was filled with meeting wonderful people, eating scrumptious cuisine, and sipping on divine wines. With breakfast in our stomachs, we headed next door to the El Esteco Winery, where winemaker Emile greeted us. For once in our lives, we were visiting a wine region during the harvest season! In the past when we’ve visited vineyards in Bulgaria, Italy and Malta, there were no grapes on the vines, and everything was brown and dry. This time, we hit the jackpot. We watched as boxes full of white grapes were brought in from the vineyard, and we ate a few of the unwashed, natural grapes right then and there. To our surprise, they tasted like normal grapes you would buy at the market, sweet and slightly tart. The vineyards were gorgeous during harvest season! I don’t know why, but we were sort-of expecting them to taste like wine or to be less sugary. Emile showed us around while pouring us tasting glasses of wine from the stainless steel and cement tanks. We learned about the property (which sits on 350 hectares) and its wine production. Bodega El Esteco produces 12 million litres of wine each year and about 6,000 bottles per hour! During the harvest season there are 500 workers on site. The winery was buzzing, but even though it was a busy time, Emile spared a couple of hours to chat with us and drink wine, lots of wine. First up was the Ciclos Torrontés, which was citrusy, fruity and light. As with the Tannat grape that we tasted during our stay in Uruguay, this would be the first time we tried (or heard of) Torrontés. We’re not white wine drinkers whatsoever (except for the odd sparkling), but we really enjoyed this one. After the “tastings”, which were more like full-sized glasses of wine, we were given our favourite Altimus bottle to take with us to lunch next door at Patios de Cafayate! It was about 1:30pm at this point and we definitely didn’t need anymore wine, but we graciously accepted the bottle and made our way to lunch. As with dinner the night before, Chef Martín created a couple of tasty meals. An oxtail burger was recommended and so was a pork dish – both were delicious. We were absolutely stuffed and satisfied. 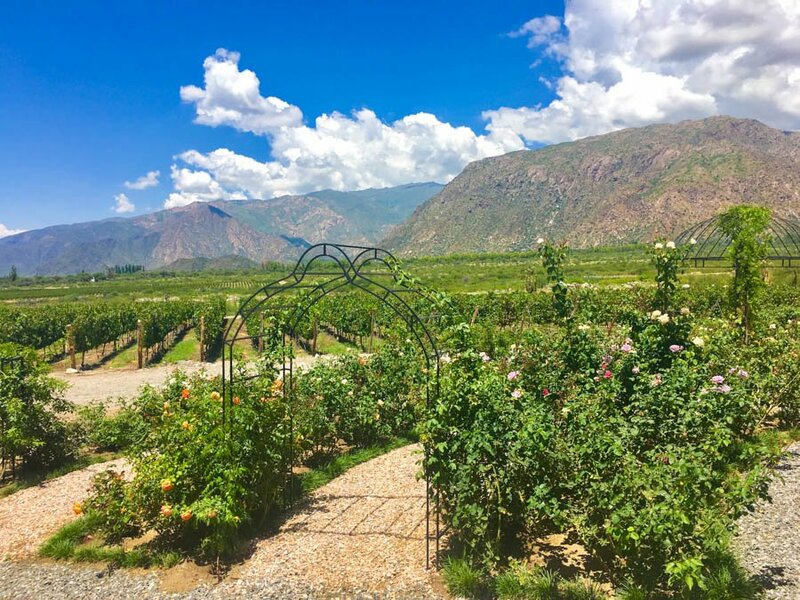 We enjoyed the views at Patios de Cafayate a while longer before moving on to our next accommodation, Casa de la Bodega, which translates to “winery house”. We backtracked about 25 minutes towards the Quebradas de las Conchas and saw a sign for the hotel, Casa de la Bodega. Turning down the dusty, dirt trail, we were fully surrounded by the mountains. We didn’t have any wine tours planned here (probably for the best! ), and all that was left to do was sit back and enjoy the views. Considering that we always love getting off the beaten path and finding our own slice of paradise, we figured hopping in our car and driving out to watch sunset from a random mountain top would be the best way to spend the late afternoon. After just a few minutes, Nick spotted the perfect location. We jumped out and made our way through the desert terrain. Arriving at the base of our perfect mountain was a bit intimidating. It was much steeper than it looked from the road, but we pressed on and after a few curse words, some spills and a couple of jabs from cacti, we made it to the top…and the views were worth it! 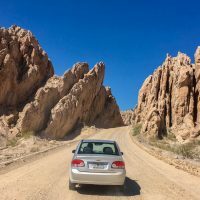 Having a vehicle in Cafayate isn’t a must, but in my opinion, it will make your trip that much more unique. It’s possible to rent bikes in town and cycle out to the vineyards, but many of them are a bit far from town. Plus, since Cafayate is surrounded by incredible mountains, having a vehicle can get you to the off-track sunset spots. For our final 2 nights in Cafayate, we moved hotels once more. 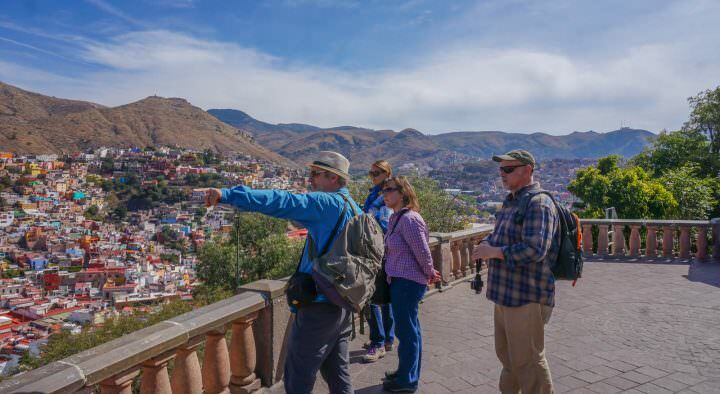 From the secluded and peaceful casa, we made our way back into the actual town of Cafayate. 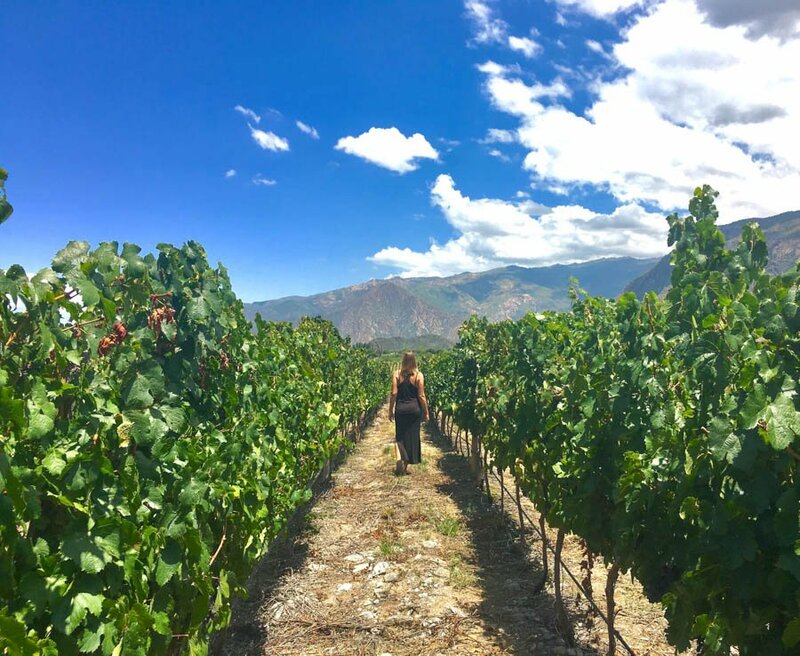 We really enjoyed staying out on the vineyards at Patios de Cafayate and Casa de la Bodega – it’s an experience that everyone should have when travelling in a wine region. A vineyard stay is romantic, the scenery is stunning and in our experience, the hotels were absolutely gorgeous! But, it was time for us to see the other side of Cafayate, the town itself. During our stay in Buenos Aires, we often visited Joaquin who is a bubbly character that owns Lo de Joaquin wine shop. He mentioned that we should check out Bad Brothers Wine Experience when we’re in Cafayate, and thankfully, we remembered his wise words. 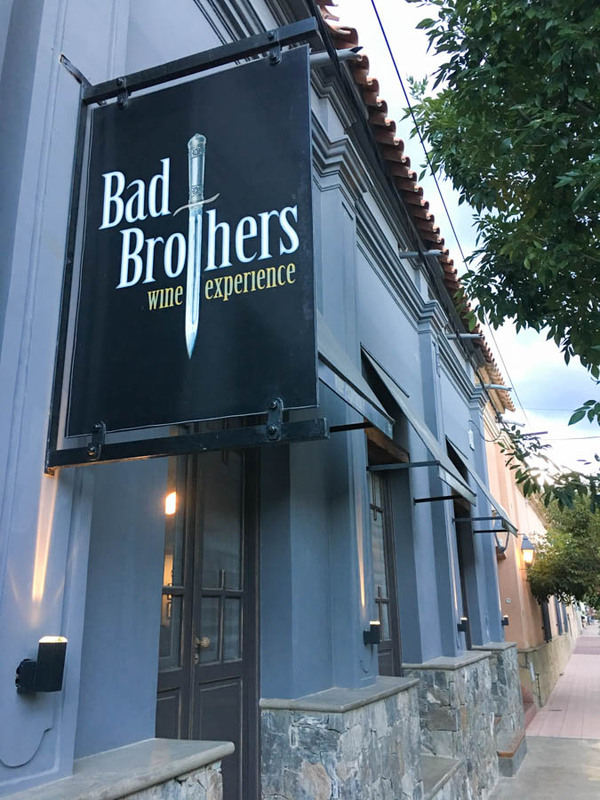 The black sign read: Bad Brothers Wine Experience, with a large sword cutting through the name. Entering into the building, we immediately knew we were going to have an awesome evening. Chefs were passionately prepping food in the kitchen, while the servers were chatting with each other and greeting guests. There was a great buzz in the air. The open air restaurant is around 150 years old, but the building has undergone some tasteful restoration. The lighting was perfectly dim, which added to the cool, sultry atmosphere. We especially loved the quirky touches. 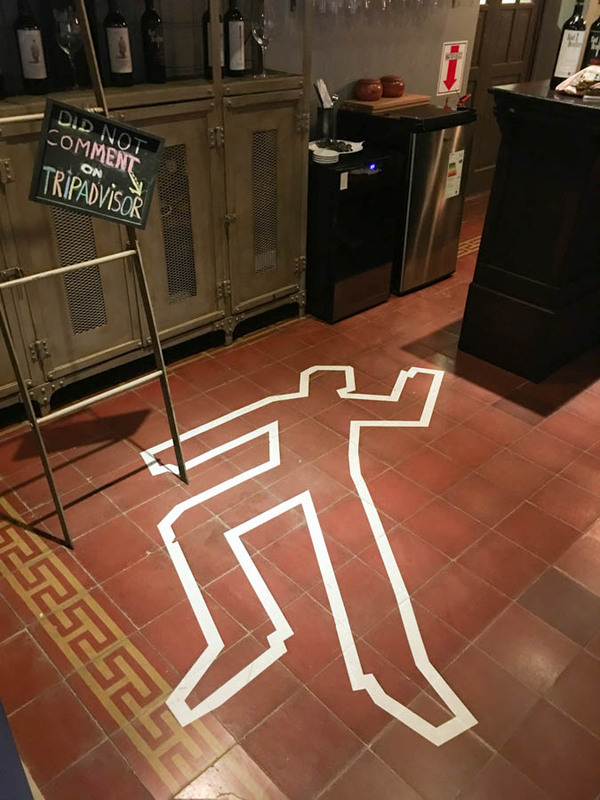 In one area of the bar, there was an outline of a body on the floor and a sign that said: “Did not comment on TripAdvisor”. Ha! 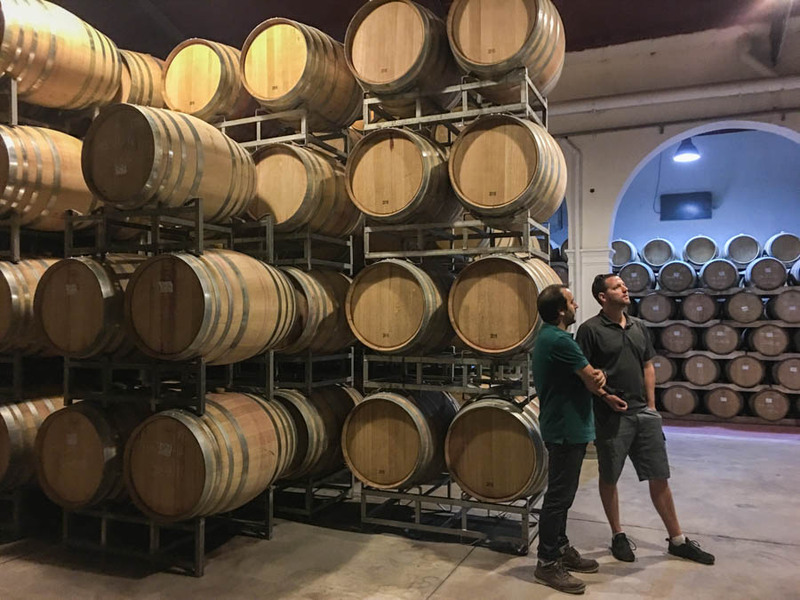 After meeting with one of the owners and wine makers, Agustín, we learned that the “sword” on the sign outside is actually called a facón, and was traditionally used as a weapon during past wars. Agustín and his fellow owners decided that the facón is not only a nod to the history of Argentina, but it could add a nice touch to their logo, be the name for a selection of wine, and also be a humorous play on words. Hanging out with Agustin, such a nice guy! This was definitely a cool place. Oh ya, these were great “Facón” wines! All jokes aside, the wines here were outstanding. 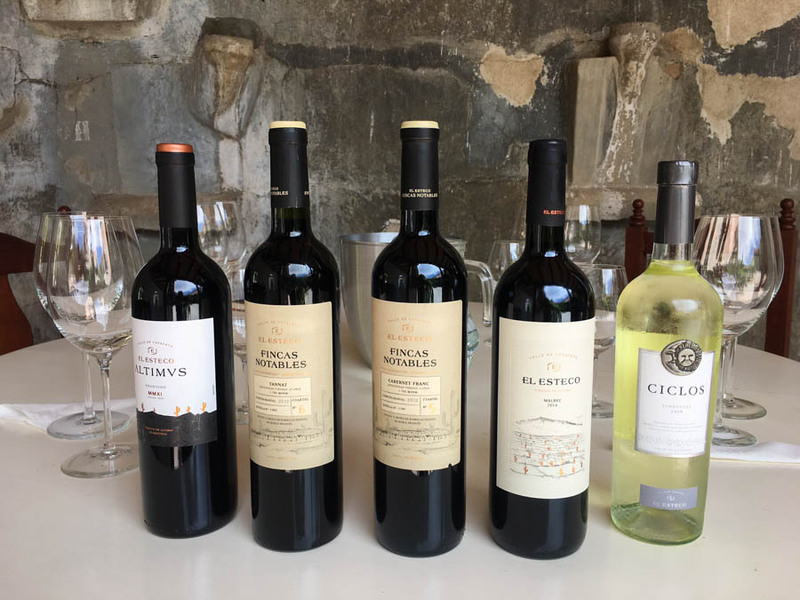 It may not be a winery in itself, or even have its own vineyard, but Agustín and his partners select the best grapes from various vineyards that they rent in the area. They then use their winemaking talents to match, blend and create fantastic bottles of wine. Not only was the Facón Tannat-Cabernet Sauvignon our favourite red wine we had sampled, but the tapas at the restaurant were delicious. The portions were huge, the quality of food was amazing, and the value for money was excellent. 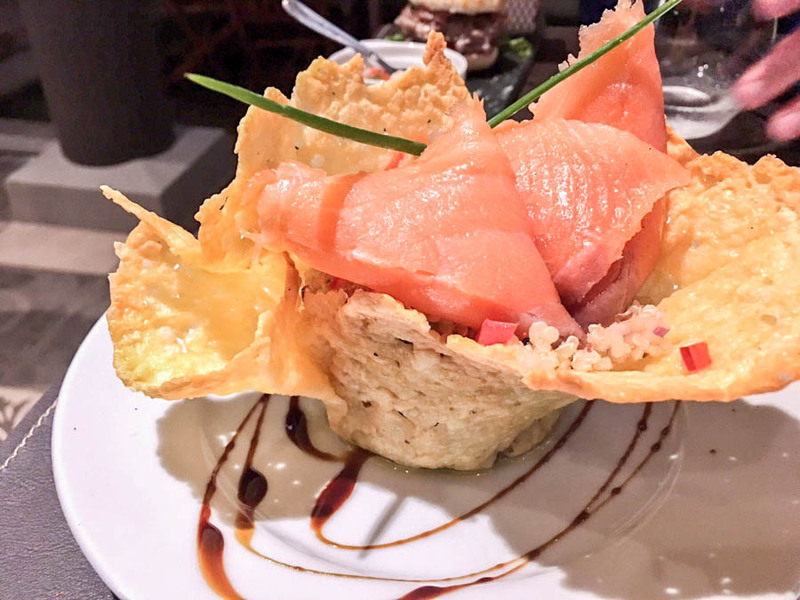 We dined on quinoa tabbouleh with smoked salmon, mini-burgers, baked macaroni and cheese, smoked salmon salad, focaccia bread with melted cheese and roasted red peppers, and more! This quinoa tabbouleh with smoked salmon on top was to die for! Bad Brothers Wine Experience served up delicious food and wine at solid prices, in a very cool setting. It was such a great place that we returned for more the following night. 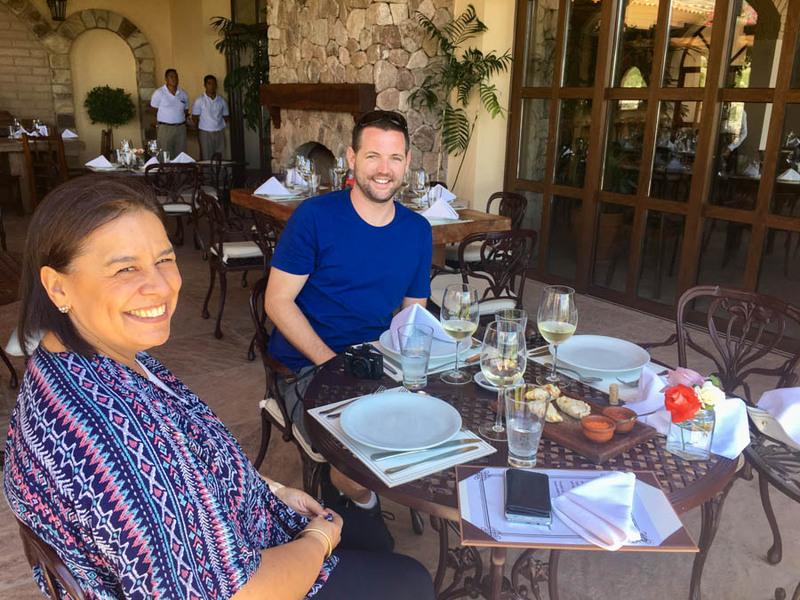 To round off our stay in the mountainous wine region of Cafayate, we were invited for one final tasting and lunch. 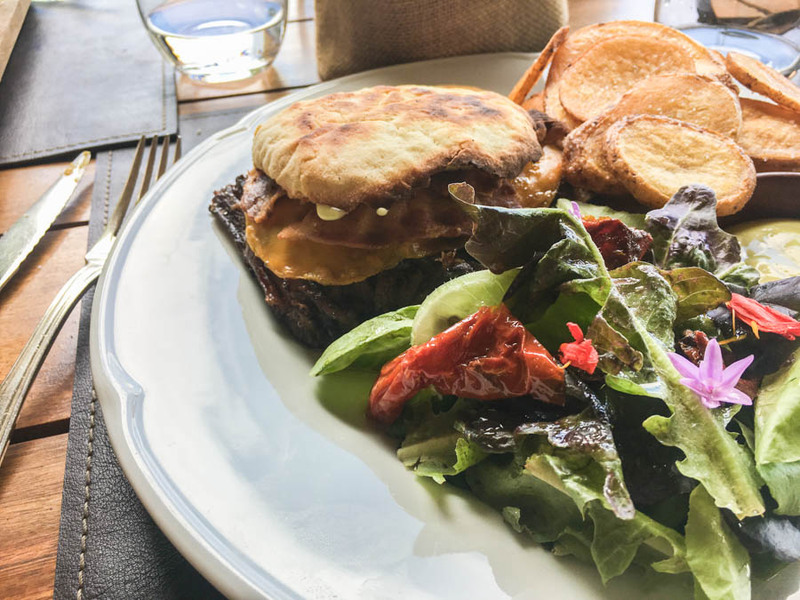 We had heard great things about Piattelli Vineyards from other wineries in the area and we couldn’t wait to sample the wine itself, and have lunch at their gorgeous restaurant. We were already in awe when we pulled up to Piattelli and we hadn’t even gone inside yet. The vines here were planted in 2009, wine was produced in 2012, and bottling began in 2013. This was the newest winery we had been to, one that had already made a name for itself in the region. We were given a tour of the winery, the production area and the cellar. 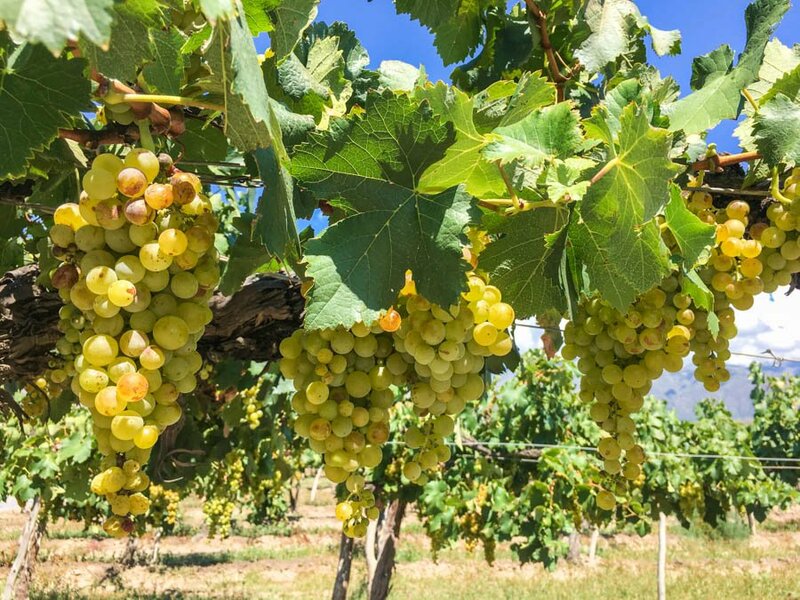 This was the first time we actually saw grapes being crushed – finally! We stood there watching as the white grapes were dropped into the machine that would separate the stems and leaves from the grapes. 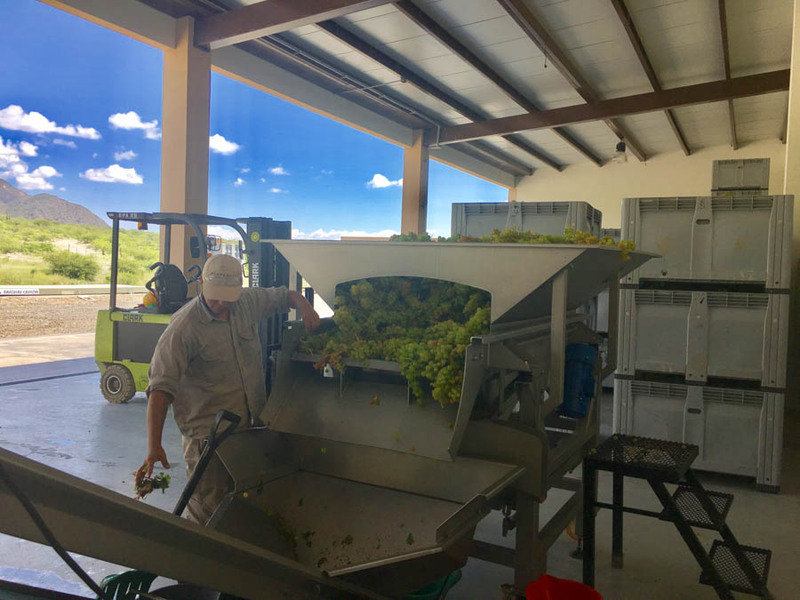 They were then moved along on a conveyor belt to where the grapes were “juiced” – the skin and seeds are not needed for white wine, only for reds. We were so excited to finally see grapes being crushed! Thanks Piattelli! It was such an interesting process. From the production line, we made our way back inside the gorgeous estate for the tastings! 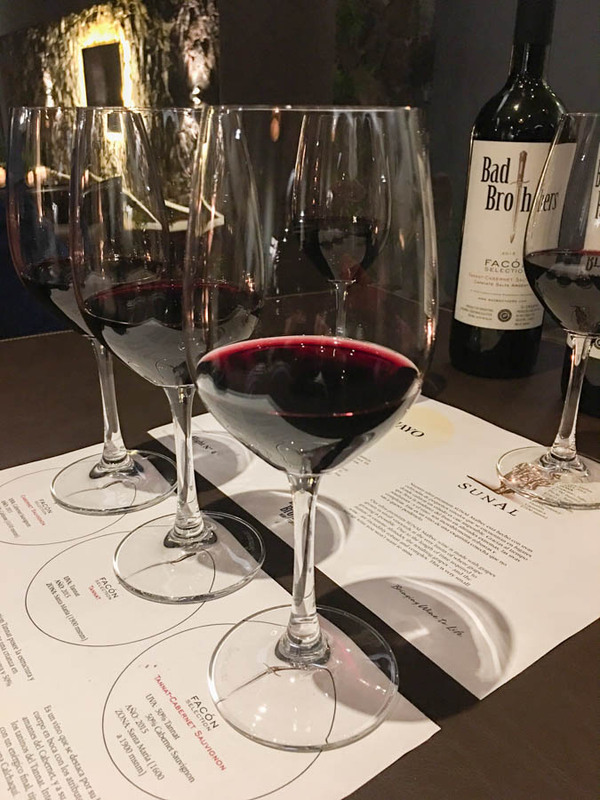 We sampled a Malbec-Tannat blend, Grand Reserve Malbecs and the Trinitá Grand Reserve. All were fantastic and we really enjoyed sipping on wine with our lovely host, Veronica. The day had been amazing so far, but the best was yet to come. We met Jimena, the friendly Hospitality Manager, and enjoyed lunch with some spectacular views over the vineyard. Jimena chose the menu to best showcase the seasonal, local ingredients on offer. We started with the most flavourful empanadas I’ve had, followed by a traditional dish called humita (so delicious!) and then a sweet and savoury dessert. 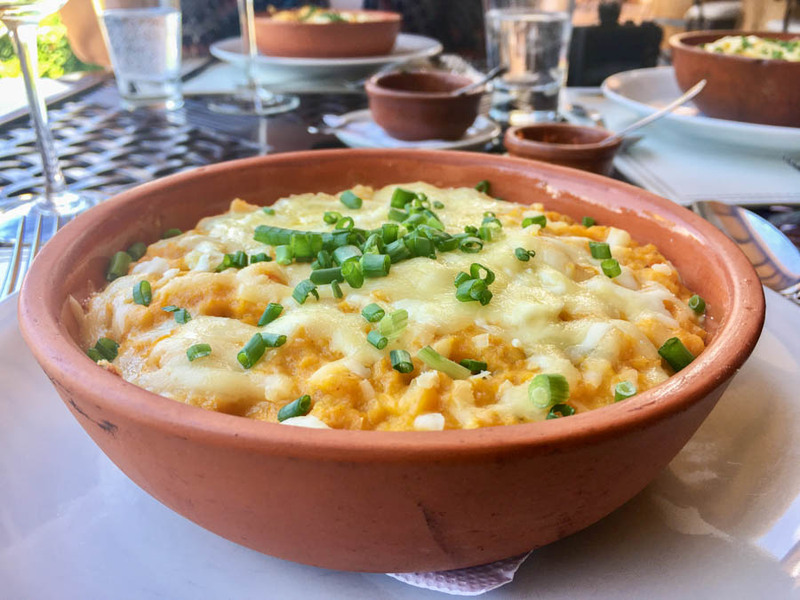 Humita is a must-try, made with pumpkin, corn, potato, goat cheese and spices, we loved it! It was at Piattelli where we had our favourite bottle of Torrontés wine, the Reserve 2015. It was fruity, lemony and peachy on the nose, while having a smooth grapefruit finish. We shared a bottle with Jimena while chatting about life on the road, and in Argentina. 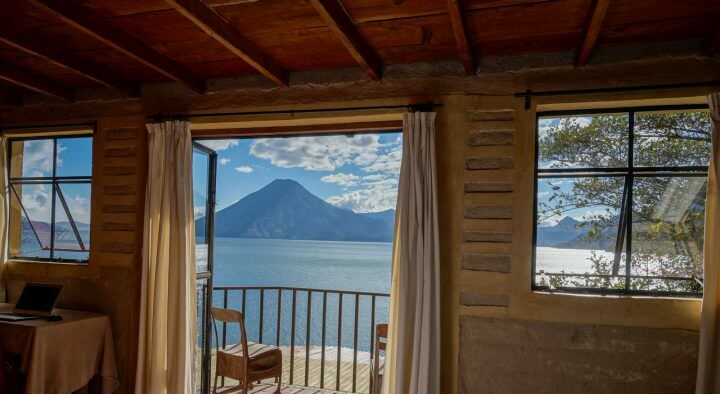 There we were, in the Valle Calchaquíes, surrounded by the mountains of the Quebradas de las Conchas, while dining at an altitude of 1,700 meters. Piattelli was the perfect way to finish off our trip in Cafayate. So far we had driven from the beautiful city of Salta to the town of Cafayate, where we stayed for 4 wonderful nights. From here, we took another scenic (but rough) route through the mountains to the small town of Cachi. 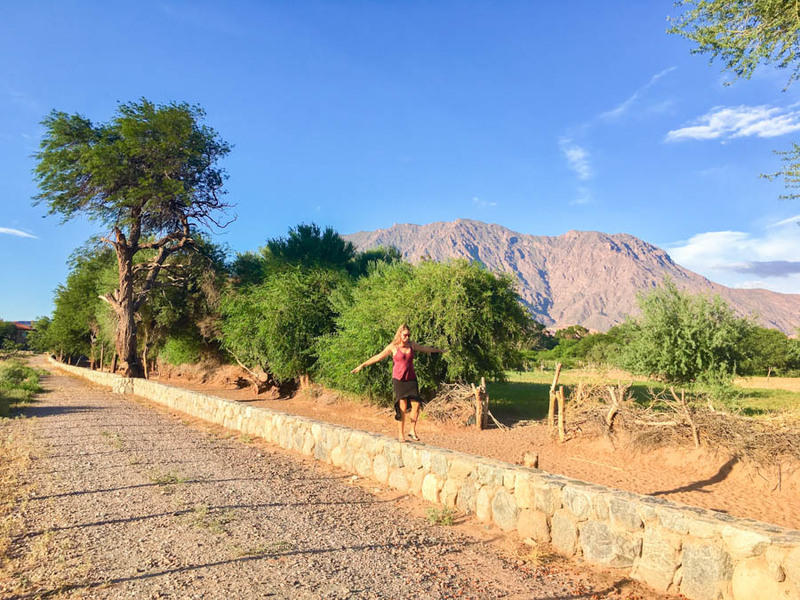 Stay tuned for more of our road trip around Northwestern Argentina! A huge thank-you to Destino Argentina for arranging our winery tours, tastings and lunches! And an extra thank you to the above listed wineries for hosting us. We had an amazing time. 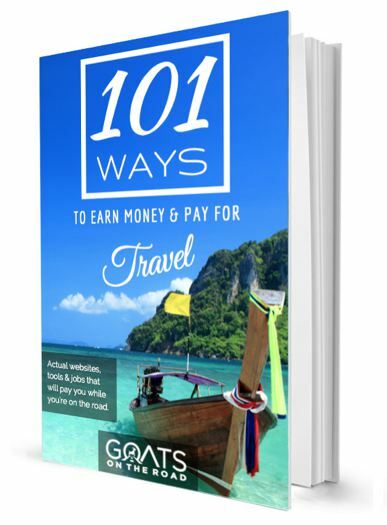 Although we were working with the Argentinian Tourism Board as bloggers, we were in no way influenced or told we had to write in a positive way. As always, all opinions remain our own. A winery tour to this region sounds pretty incredible even though I’m not familiar with the wines in that region, I’m sure they are pretty delicious. I’m loving your videos and information here! 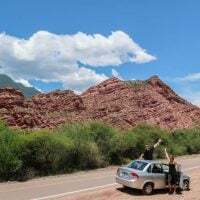 I’m planning a 9 day road trip of Salta/Jujuy/Cafayate for May, I’ve been living in BA for 8 years and am just now making it up to Salta! FINALLY. Thanks for all the great info.